For patients looking for a facial rejuvenation with no downtime, or enhancement of certain facial features, facial fillers are an excellent option. As a facial plastic surgeon, Dr. Greene utilizes his understanding of anatomy and aesthetic vision to achieve near-surgical results. 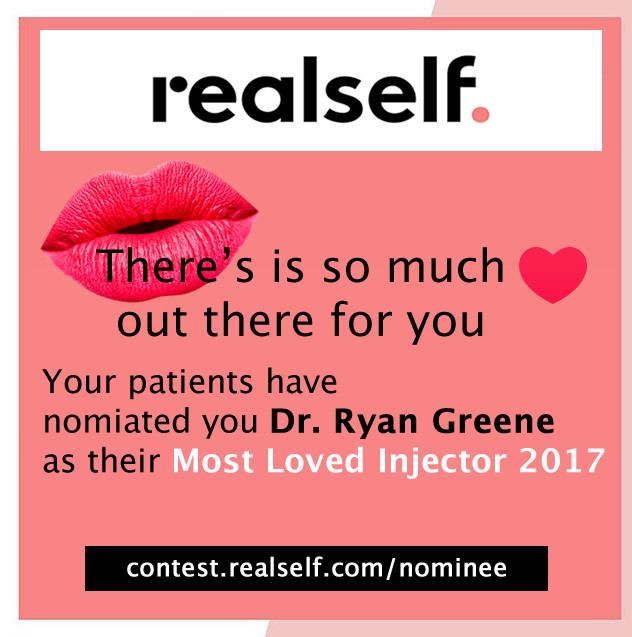 Dr. Greene is known as an injectable specialist, and is sought by patients who desire a higher level of care in their injectable treatments. 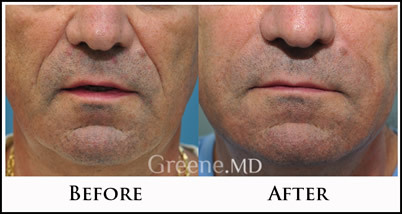 Dr. Greene is considered by many to be a leading expert in facial fillers. 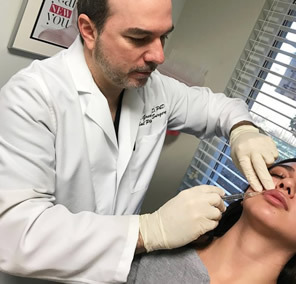 As a master injector, Dr. Greene’s innovative techniques elevated him to one of the top injectors in Florida. He customizes treatments for each patient, which often includes a combination of different fillers and techniques in order to achieve the best outcomes. There is a common misconception that Botox and filler treatments are straightforward and that any trained physician can produce a great result. The reality is that exceptional outcomes are the result of skill, artistry, and judgment. 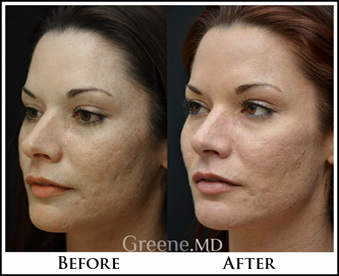 A major emphasis of Dr. Greene’s practice is non-surgical filler treatment of the face. He has also published and lectured extensively on Botox and injectable fillers, and he was a contributing editor for a textbook on Botox and hyaluronic acid fillers (Restylane and Juvederm). Dr. Greene administers all treatments in his office. There are a number of fillers available, each with its own strengths and unique characteristics. Click on each filler below to learn more and see before and after photos. Many areas of the face can be treated, with some remarkable results. Some fillers work well in certain areas, but not in others. 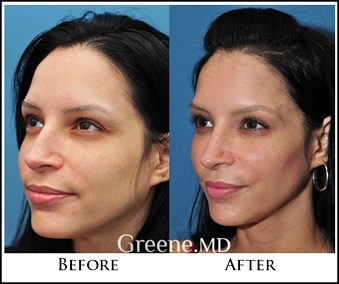 Dr. Greene uses different fillers throughout the face. The emphasis is on NATURAL. Many patients would like a lip augmentation, but are afraid of looking fake. Dr. Greene defines and augments lips to give women the natural, full lips they desire. Click here to learn more about Natural Lip Augmentation. This is the #1 reason patients come to Dr. Greene for fillers. A unique approach to the lower face helps patients achieve long-lasting, rejuvenating results. Few physicians inject fillers around the eyes, as this area demands a high level of skill. Shadows between the eyelid and cheek can make people look tired. Fillers can be an effective solution. Lower Eyelid Filler (Tear Trough). Some patients would like a facelift, but don’t have the available downtime or would like to avoid surgery. For these patients, fillers can still be used to achieve impressive rejuvenating results. Click here to learn more about Juvederm VOLUMA. As people age, the cheek tissues drop. Facial fillers can be used in a number of ways to re-create the high cheekbone. While it demands an artistic touch, it can create a powerful rejuvenation of the midface. Click here to learn more about Juvederm VOLUMA Liquid Cheek Lift. A recessed chin can create an imbalance with the nose and the jawline. Aging also leads to heavy cheeks and poorly defined jawlines. Fillers can be used to sculpt and augment this area, creating a stronger chin and jawline. Juvederm is a facial filler made up of hyaluronic acid, a naturally occurring substance that helps to bind water to cells. Juvederm can be used in most areas of the face, and is an excellent choice for lip augmentation and treatment of the lower face. Like Juvederm, Restylane is comprised of hyaluronic acid gel. Restylane is often used to treat facial wrinkles such as the nasolabial folds. Restylane can also be used to augment the lips and to correct hollowness in the tear trough below the eyes. 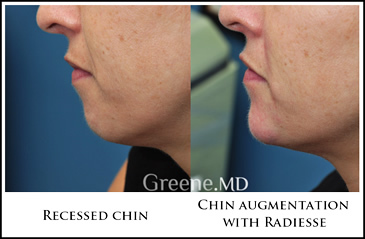 Radiesse is an injectable filler made up of calcium hydroxyapatite (CaHA) suspended in a gel. CaHA is a material that is found naturally in teeth and bone. Radiesse can be used to treat deep facial lines and wrinkles. It is also an excellent filler to add volume to areas such as the cheeks and jaw. Sculptra is more of a volumizer than a filler. The product is placed into the facial tissues to stimulate production of collagen. It typically requires multiple treatments over a period of weeks, but is capable of producing dramatic results. Sculptra is a good choice for patients who have lost volume in their face and wish to restore a more youthful contour. HOW LONG SHOULD I EXPECT THE RESULTS TO LAST AFTER A FILLER INJECTION? While results can vary, Restylane and Juvederm may last six to twelve months. Perlane may last up to one year. Radiesse and Sculptra results may last up to two years. 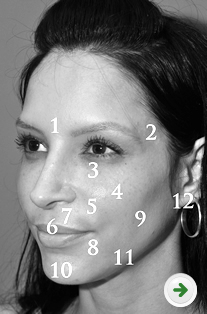 The duration of filler correction depends on the type of filler, the facial area treated, the injection technique, and the rate that the patient ‘s tissues break down the filler.